With an objective to fulfill the ever-evolving demands of our clients, we are engaged in offering a wide assortment of Wire Harness Assembly. We are engaged in offering our clients with wire harness assemblies cables assemblies’ power cords as per customer specification. These are widely used in the areas like telecommunication, automotive, power systems, TV systems and air conditioning systems. 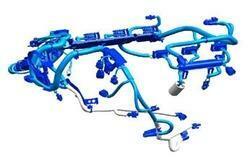 We offer a wide range of Wire Harness Assembly that are highly useful in automobiles and cranes. The range includes harness assembly, wiring harness for slew cranes, wiring harness for crawler cranes, wiring harness for tower cranes, wiring harness for vibratory soil compactors and wiring harness for tandem vibratory roller and is offered at industry leading prices. We are the manufacturer of electric cabel assembly..
WE ARE MANUFACTURER HOME APPLIANCE WIRING HARNESS LIKE REFREGERATIOIN, MIXTURE, IRON, GRINDER ETC. 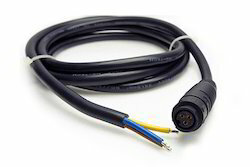 We also provide wire harness or cable assemblies to our customers as a stand alone service along with board assemblies. We have automatic end-to-end crimp machines and semi-automatic crimp machines along with several applicators for different crimps along with several manual tools for handling different types of wire harnesses. We are providing wiring harness for various connections to be created among various parts of the washing machine.These are operated using power and are used for interconnecting varied electronic gadgets such as computers, televisions. We offer custom made solutions to our clients as per their specification and requirements.